Just finished watching the Long Way Down series the other day so I thought I'd share my thoughts. One of the comments a lot of people have made about this and the Long Way Around is the amount of whinging that Ewen & Charlie do. Well, I don't like it either but I think to a certain extent everyone would have their bad days on a big ride like this - they were doing pretty reasonable distances over some pretty bad roads at times and this could wear thin I'd say. Another comment people make is about how much gear they take and what sort of assistance the car crews gave them. Well, if I ever do it I doubt I'll have any support but then I won't be making a documentary or have the sort of sponsorship that they had - please Mr BMW, can I have a bike? But back to the film itself. They went through some amazing places and saw some great sites. Ethiopia in particular stands out for me as looking very green & beautiful with some great dirt roads to boot. In fact, a lot of the roads looked like fantastic fun for adventure bikes and apart from some of the sandy bits didn't seem as tough as the roads featured in the Long Way Around. It would have been nice to see more of the riding and even the bike preparation/maintenance rather than visits to killing fields and Unicef facilities but then it was their ride and they were supporting the charities. It would have been great to be there and see some of the wildlife and wild scenery. Overall I enjoyed the DVD just like the previous one except that they should not really be allowed to make them as it just makes me want to get out there and do it and unfortunately I'm not in a position to do it...c'mon lotto! 2007 Rusty Nuts Southern Cross - the Southern Cross is always great fun. Buying the Concours - sad to say goodbye the the Bandit but always great to get a new toy. 2007 Rusty Nuts Grand Challenge. The worst weather on record only made the sense of achievement greater. 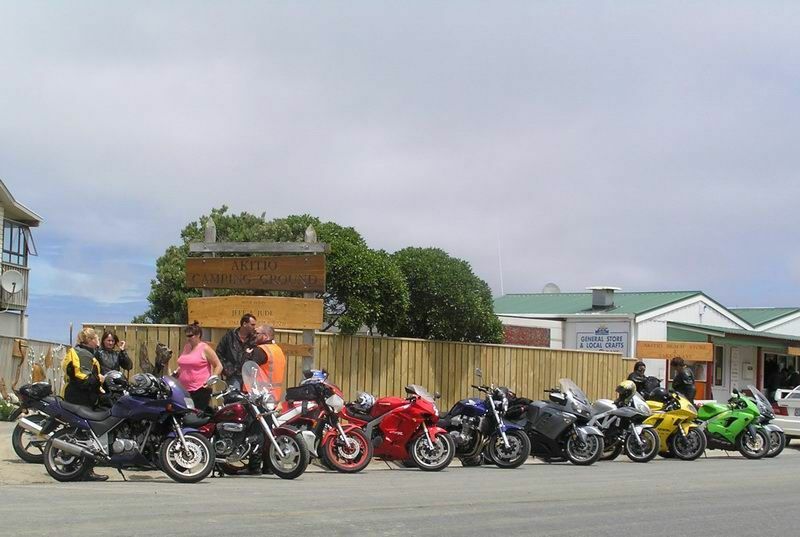 Meeting some of the local Kiwi Bikers and enjoying some great rides with them. Twanger in the van backing into the Bandit. Concours falling over on the Coast to Coast. 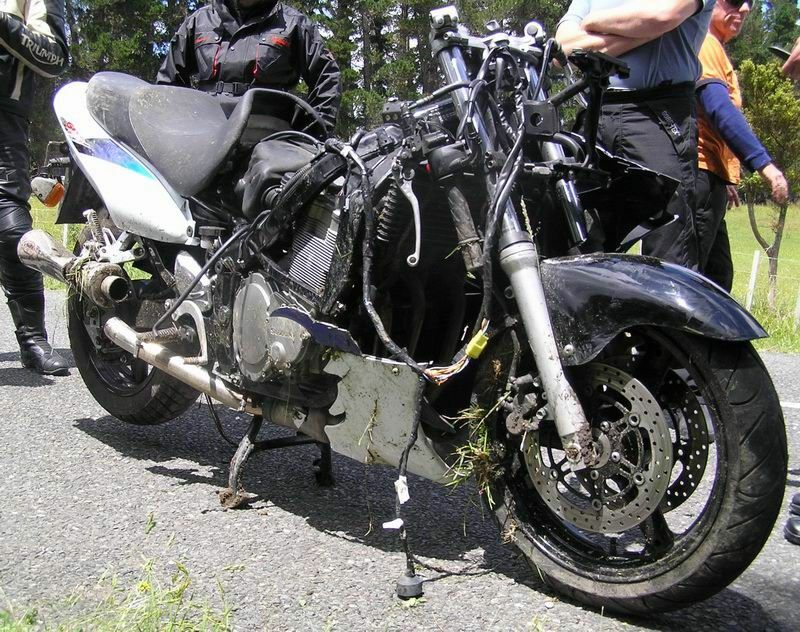 Far too many RIP/Biker down threads on Kiwi Biker. Well that's about it I think, so Happy New Year to all who read this and if you're riding in 2008, have fun but be careful! After a pretty forgettable Coast to Coast (shocking weather, a certain bike falling over), Cowboyz suggested that a ride out to Akitio in better conditions was in order. Well, today was the day and the weather gods decided to play ball and came up with a pretty stunning day so there was really no excuse not to get on the bike and head off to meet the rest of the guys & gals at Ashhurst. 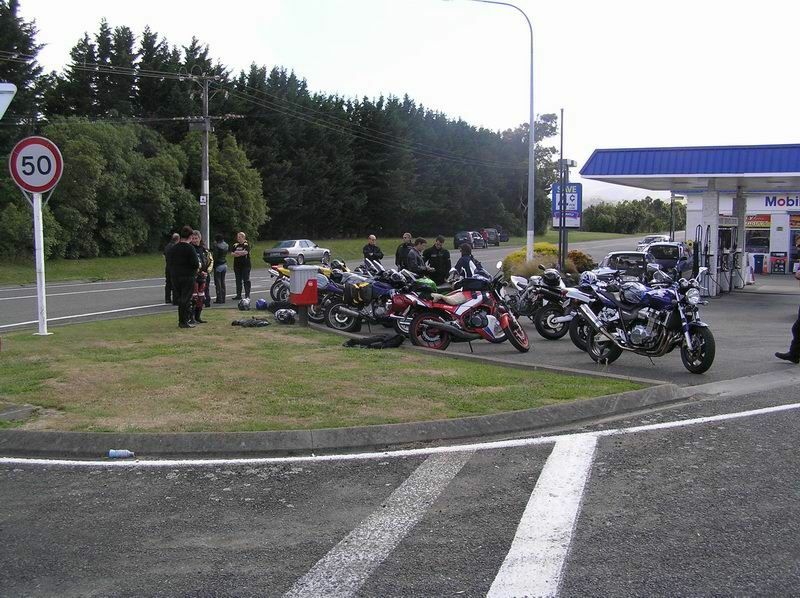 After gassing up the bikes at Ashhurst it was a pretty decent sized group that headed off into the gorge - including 4 L-platers all keen as mustard to be out on there bikes. 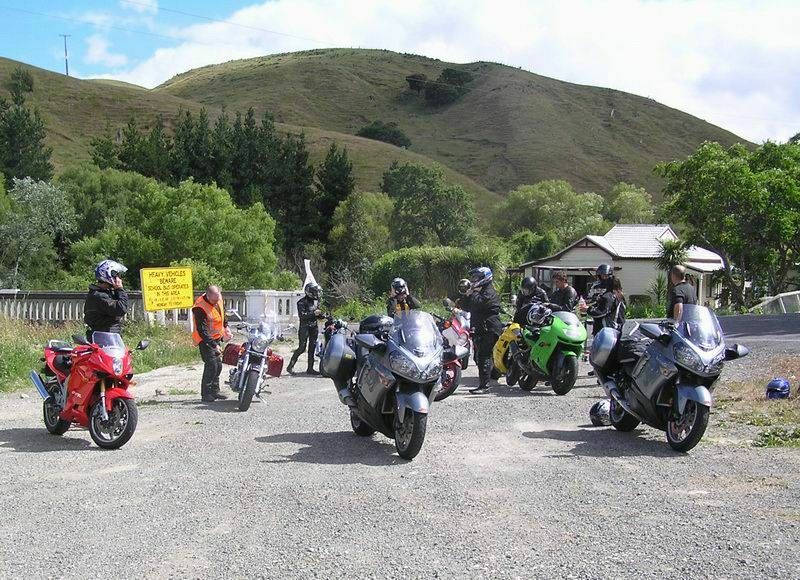 The ride took us through the gorge, then Balance and over into Pahiatua where we stopped to regroup and give some of the L-platers a bit of a head start on the road to Pongaroa. I had a really great ride through to Pongaroa, sitting in behind Cowboyz and enjoying the great roads - nice to do them in the dry for a change. Arriving in Pongaroa we parked up and I went to grab a cool drink. 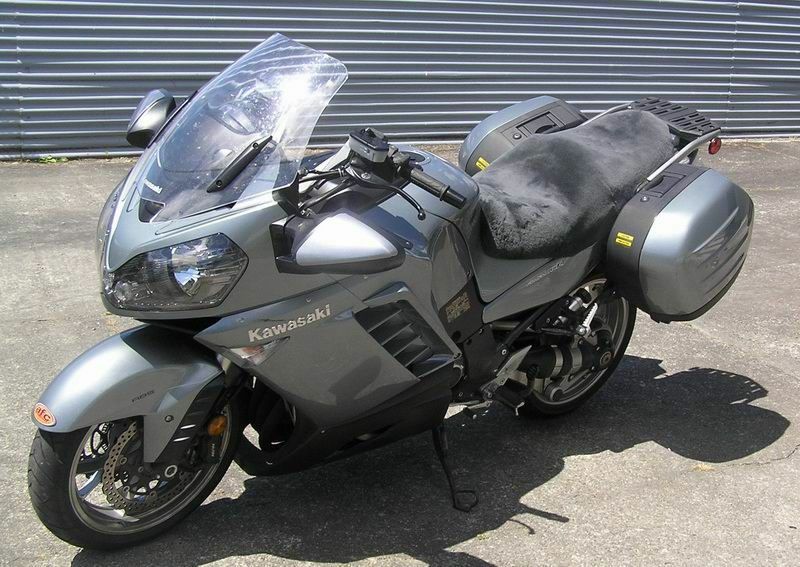 When I got back to my bike we got some bad news - there'd been an off just out of Pongaroa. Most of us quickly headed back out of town to check it out. About 200m out of town Hornet250Boy had left the road, locked it up in the grass before finally parting company with his bike. The bike went through a fence, smashed a concrete post support, crossed a bit of a ditch, bounced into the air before clipping a cabbage tree and crashing to the ground. Hornet250Boy was a bit more lucky - he missed the fence and skidded about 14 metres down the grass verge. Luckily, Hornet250Boy was not hurt very badly - a few cuts and scrapes as well as a bit of shock etc and the girls soon had him patched up and recuperating on the side of the road. His poor little GSX was not so lucky - it had ricocheted off all sorts of obstacles and had done a great job of tearing itself to pieces. With plenty of us at hand we soon had it up the bank and back over the fence where we could have a decent look at it and try and work out what we were going to do with it and it's banged up rider. As a result of an unfortunate off on his new bike NZSarge hadn't been able to make the ride but had offered any assistance to us if need be on the day. Obviously we hadn't planned on needing him but never the less he was phoned and offered to drive all the way out to pick up the bike - really awesome of him. While we waited for the trailer we parked back up at the Pongaroa store where cold drinks & icecreams were the order of the day. Once Sarge arrived we quickly loaded the GSX remains onto the trailer and were soon off on the road again to Akitio. 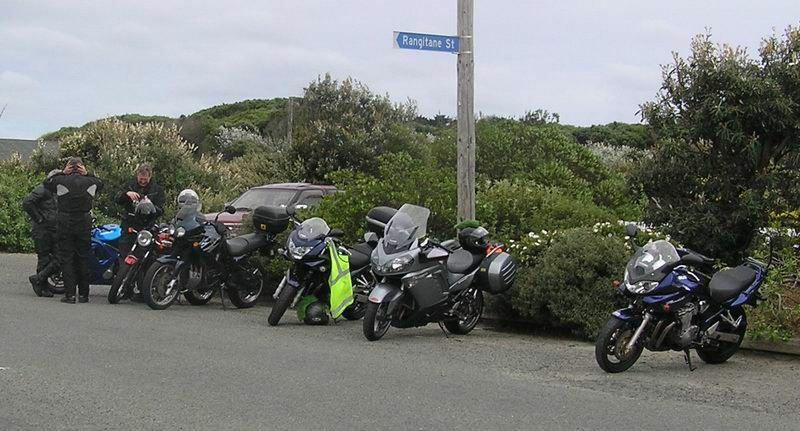 Had a pretty quiet but enjoyable ride out to the coast before parking up and taking a breather at the beach. After a bit of R & R we finally mounted our bikes and headed back towards civilisation. The only bit of excitement was Gary loosing his cell phone. A number of us had seen something on the road and wondered what it was. Luckily for him, when he finally found it it was still all ok. The road from Weber to Danniverke is a real cracker and I had a real blast on it and got away a bit from the rest of the mob. But when I pulled into the garage at Danniverke they weren't far behind me and some of the bikes gassed up, and coffees were had before the final leg home. I took it pretty quietly on the way home following one of the L-platers on his Hyosung, the only downer being stuck behind a very slow car in the gorge. We've had 18,000rpm 250 4's before but what's the 125 gonna be? Not necessary on the Connie! 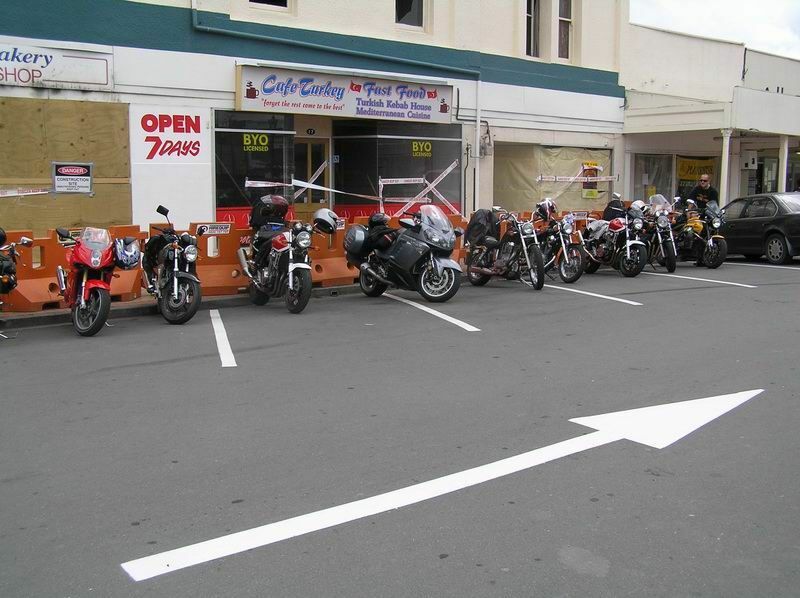 Also discovered via a thread on Kiwibiker. The NZ mint is issuing a collection of coins featuring great bikes of the 1930's. Accident waiting to happen - Getting wiped out while sitting stationary. Adventure Tourist - One who leaves the road and ends up deep in the bush. Agricultural incident - When a Harley is involved. Arsewipe - The guy that falls off in jeans or other inapproriate clothes and looses large amounts of skin off his arse. 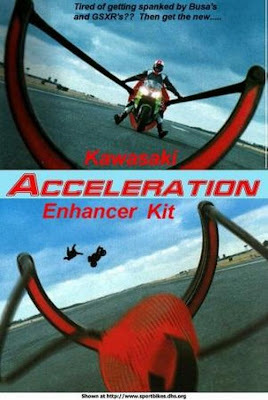 Crotch Sniffer- Biker who follows too closely then finally runs into the back of someone. Double Act - Rider and Pillion crashing. Kamakazi - Bike tries to take a car out. Out for a Duck- Crash on first ride on a new bike. Smashing Pumpkin - Not be wearing a helmet. After it's rough treatment last weekend I thought that it was time to spoil the bike a bit and went down to Otaki with Brian so we could both get sheepskin seat covers made up. Brian had called earlier in the week to organise and the guy at Sheepskin Sales was only to happy to knock us up a couple. As usual he made an awesome job and I look forward to my bum spending a fair bit of time testing the sheepskin out. 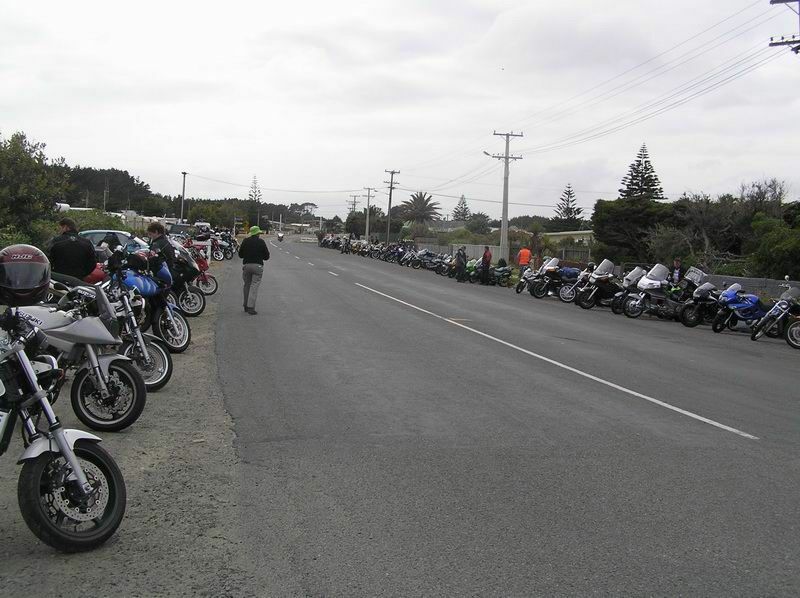 Another hot & sunny day in Palmy and another Toy Run to attend - this time the Central Districts Motorcycle Touring Club's one. 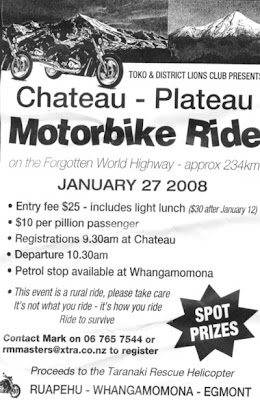 A quick count of my badges seems to point to this being my sixth one and the route is usually very similar - the ride starts in Feilding and takes in some back roads through Halcombe & Feilding before ending up back in Palmy for a sausage sizzle at the Awapuni Hotel. After a bit of a foul up in meeting times & places with Brian (my fault), I ended up heading over to Feilding by myself and parked up to wait for him to arrive and badges to go on sale etc. While waiting I caught up with a couple of Kiwi Bikers and generally stood around getting hot. Brian eventually turned up and we got our badges before the ride finally got under way. The ride itself is just a gentle cruise and basically took in the route mentioned above. Once back in Palmy toys were donated, sausages scoffed and yarns started. Neither of us hung around long having things to do but it was a reasonable way to spend a couple of hours of a hot Saturday afternoon. Looks like they're thinking of stinging bikers even more for ACC levies due to their fuel efficiency (less ACC from petrol taxes). 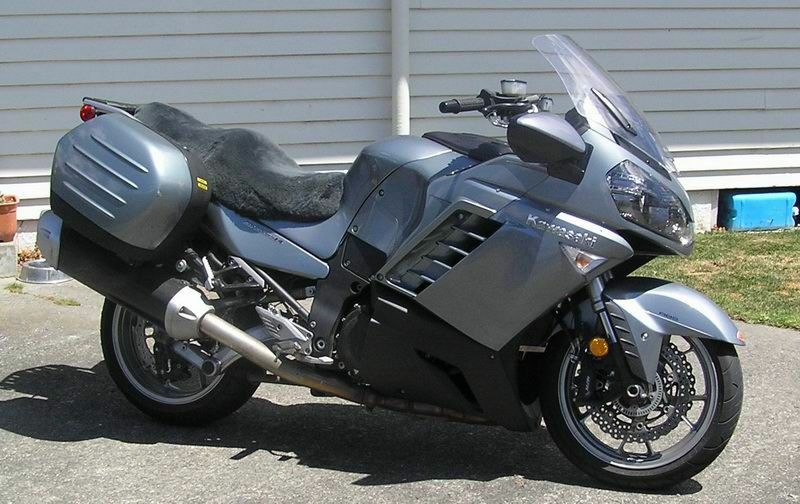 Also interesting is the "The average cost of motorcycle injuries per year is $1500 per registered motorcycle." Let me guess this calculation was cost of all motorcycling injuries divided by the number of registered bikes. What about all the unregistered trailees & farm bikes/quads? What about all the other sports / hobbies where no ACC levies are paid? It goes on about other road users (forgetting cyclists & pedestrians) subsidising bike injuries - but doesn't everyone that pays ACC levies somewhere or other pay for all those non-levied activities? Don't cars sometimes hit bikes? 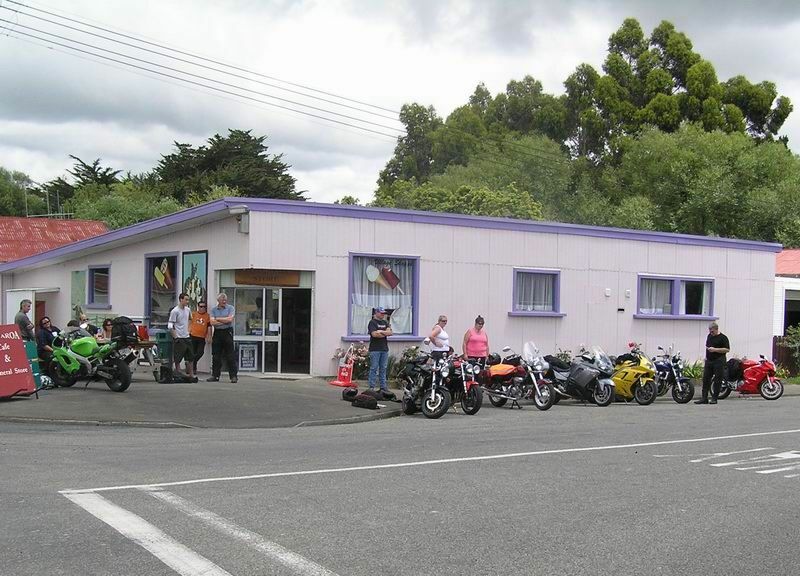 I managed to get all of my gear dryed out overnight and with the weather looking better when I got up, I couldn't really think of a reason not to head over to Wanganui to do their local toy run. After meeting at Brian's place we headed over to Sanson via Rongotea and stopped for fuel and a drink before heading off to Wangavegas. Noticed quite a few of the Coast to Coast riders heading past on their way home as we were gassing/parked up. 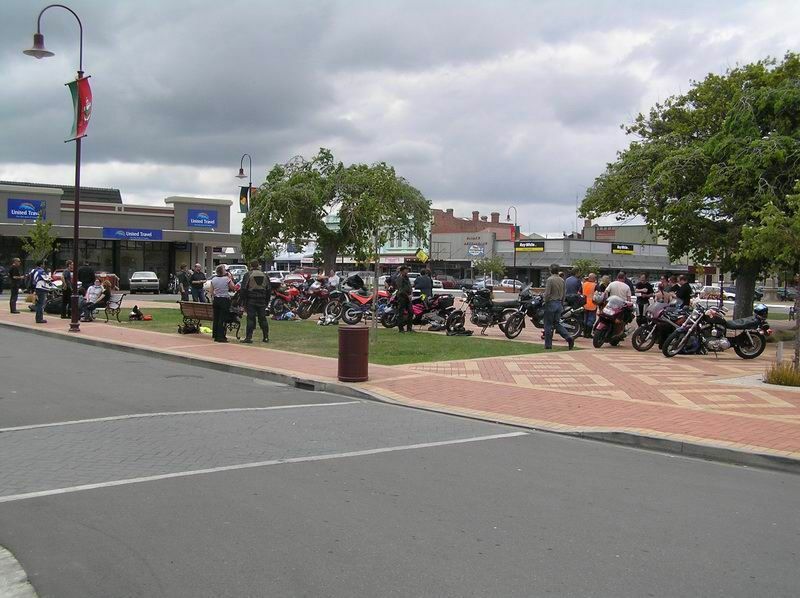 Got into Wanganui at about 11:30 and were some of the first few here so we parked up, had a chat with a few bods before donating our toys and munching on some pigs in blankets. The ride finally got underway at about 1pm and after a few stops to regroup (not fun in the heat) we turned off the main road and headed up the Turakina Valley. Had a real blast out here as the roads were in good nick and there were a few who wanted to play. Finally ended up in Marton where we all stopped for a cold drink before heading home. I got up early on Saturday morning keen to walk the dog and do a few things around the house before heading out to Himatangi for the start of the Coast to Coast. Trouble was the weather was not being very friendly - we'd had some overnight rain and there was a bit of light drizzle falling. I gave Brian a quick ring to see if he was coming and he said that he was flagging it due to the weather and him still getting the hang of his new 14. Mark was next on the list for a call and I knew he was coming - he'd taken the day off work especially for the ride. So after a brief discussion on meeting times etc I hung up, geared up and headed out to meet him at his place. By the time I got out there the roads were dry and the weather was looking ok - maybe we'd get a dry ride. After the briefing we hit the road and headed on into Foxton and then through to Shannon. We both quickly grabbed some fuel here as we knew that there'd be a mad rush for it at Woodville and that we'd be able to easily get back to Danniverke afterwards. Leaving Shannon we easily merged with riders still coming in from Foxton and made our way up through Linton, out Old West Road and finally to the Pahiatua track. Had a wee play on the track but with wet patches and a lot of slower bikes it wasn't really worth going silly. Heading through Balance we came across a couple of guys who must have have left their brains at home as they'd gone off on a pretty easy bend. A quiet potter on into Woodville where we parked up and went to check out the new 'Busa and B-King before grabbing our lunch and waiting to head off again. Then disaster! Heading back to the bike after taking a pitstop a came across a group of people waiting around my bike. The story goes (and I'm still not 100% certain it's true) that the bike rolled backwards on it's stand, then fell over to it's right and onto Mark's bike and then his onto the next one. It looks like mine was the only one to completely fall over and it's been nicely hucked up by the asphalt. To say I was annoyed is a bit of an understatement! Luckily all the damage is just cosmetic - nothing broken but I'm still annoyed and will be for some time...Mark was a lot luckier - you can't even see where my bike hit his and there are no marks on his bike except for the handle bar weight which has a scratch and the bolt is bent. Anyway after fuming and venting for a while we were finally back on the road and on the way to Pongaroa. Not far on up the road the weather decided that it was it's turn to spoil things by raining on all the nice bikers out doing their bit for charity. We made a quick stop at Pongaroa to stick our wet weather gear on over our wet riding gear and then kept on plowing our way out to the beach. Once at the beach we had a quick coffee with KoroJ and chatted to some others before bailing on the prize giving (knowing my luck I probably had my name drawn...) and heading home. We turned off route 52 at Weber and headed on into Danniverke so we could gas up if required. Before we got into Danniverke the rain finally stopped and we could enjoy the roads. In the end neither of us needed gas so we just cruised it back home to Palmy, relived a bit of a pretty crappy day at my place before Mark headed home and I put my poor horse to bad. Christmas has come early this year with Brian treating himself to a Concours - and why shouldn't he? He picked it up yesterday so naturally it needed a bit of a run today. The old man had rung last night to see if I'd be keen to meet hi somewhere so I kept my mouth shut about Brian's new bike and got the ride sorted out. Ma & Pa decided to ride over the Napier-Taihape and meet me in Taihape for lunch so that sounded like a nice quiet ride for Brian & Linda to get used to their new horse. 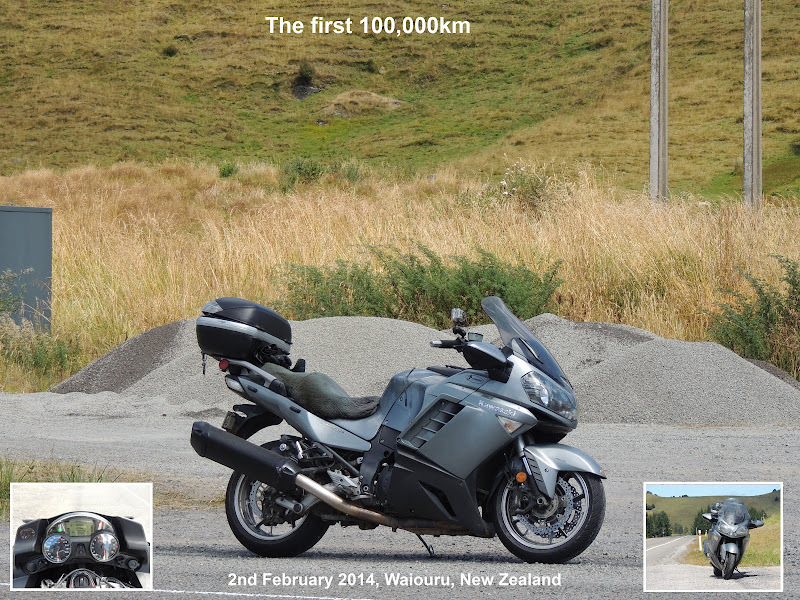 We left Palmy at about quarter to ten and had an easy ride over through Fielding and Halcombe and on up Highway 1. 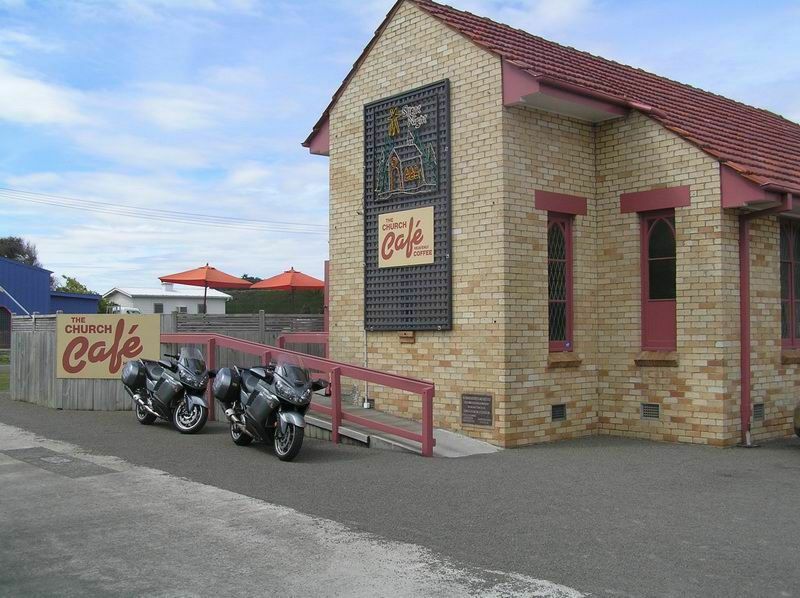 Arriving in Taihape I gassed my bike and we parked up at the cafe in the photo to wait for the olds. 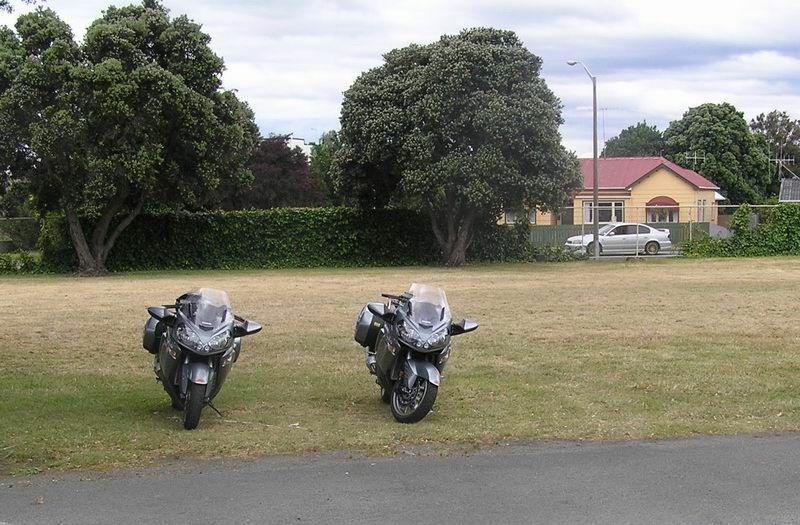 About 20 minutes later they showed up and were surprised to see the twins parked up outside the cafe. After lunch we headed back towards Palmy and I gave Ma a ride on the back of the Concours before handing it over to the old man. He managed to sit quietly behind me until we got onto Vinegar hill and then he was off to sample the 14's grunt & handling. He pulled over briefly at Rewa but I kept on going knowing he was going to have some fun coming up the hill. I must say I had a bit of fun trying to get my head around his tractor, (oops, I mean beamer) but still had some fun climbing the hill. We all stopped at Cheltenham and I was finally reunited with my bike. Here we all split up with Ma & Pa heading for Ashhurst & home and the two 14's heading back to Palmy & home.